We are loving Kate Bosworth’s deep cranberry lip. Makeup artist Hung Vanngo created Kate’s lustful pout and maroon eye with Le Marc Lip Crème ($30) in Grape Sangria and Kevyn Aucoin The Essential Eye Shadow Set ($58) in Bloodroses. Signature red has always been a staple of holiday looks, step it up by trying deep maroon, cranberry, and even orange-red! Emma Stone always seems to master the latest trends in beauty and fashion. She did it again at the La La Land premiere in Los Angeles, looking ethereal in sky blue eyeliner that perfectly matched her blue Prada dress. Makeup artist, Rachel Goodwin, made Emma’s eyes pop by applying blue eyeliner to bottom lids only and adorning the inner corners of her eyes with specks of silver. Blue eyeliner is always a standout trend, try different shades of blue to line eyes and add some cool fierceness while mingling at the next winter bash. Make Up For Ever Aqua XL Waterproof Eyeliner ($21) in M-26, I-24, and S-20! The holidays are for standing out and celebrating, what better way to make that statement than with a speckled pout. We loved the glittery red lip Naomi Campbell wore to the 2016 MTV VMAs. It’s the perfect show-stopper for all our holiday fetes. 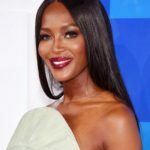 Legendary makeup artist Pat McGrath is the culprit behind Naomi’s VMA pout, and with Pat’s Metalmorphosis kits ($60), we can douse glitter on everything! Pat’s love for glitter was also seen on Bella Hadid’s pucker at the DKNY fashion show in New York this year. Try a glitter-laced lipstick, or just layer your favorite lip color with a shimmery gloss or glitter powder.